Politico Playbook, the influential morning newsletter read by Washington's power players and political junkies, will have a life after Mike Allen. 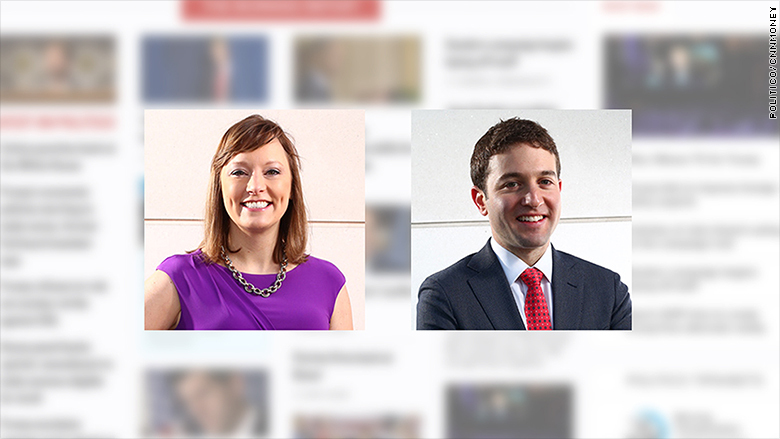 Politico is in talks with reporters Jake Sherman and Anna Palmer to have them serve as co-authors of Playbook when Allen leaves the company, sources familiar with the plan told CNNMoney. The two reporters, who usually work outside of Politico's Rosslyn headquarters, have frequently been seen in long meetings with Politico editors John Harris and Susan Glasser about the move. Brad Dayspring, Politico's top spokesperson, told CNNMoney that no official decision had been made regarding Playbook. "We are casting a wide net internally and externally which obviously includes some of our top talent, but no announcement is near," he said. Sherman, Palmer and Allen did not comment. The handover will test whether the morning tip-sheet -- a major revenue generator for Politico -- can continue to be a Washington must-read without the hyperactive and idiosyncratic Allen at the helm. His unique blend of scoops, aggregation and gossip had earned the attention of the Washington and New York political and media establishment. In 2010, The New York Times Magazine dubbed him "The Man The White House Wakes Up To." Politico is betting that Sherman and Palmer, both under the age of 35, will bring new energy to the newsletter. Both reporters are known among their peers for being aggressive journalists with the round-the-clock work metabolism for which Politico was made famous. Sherman has spent seven years as a congressional reporter for Politico. Palmer has spent five years with the company, and serves as a senior Washington correspondent covering money and corporate influence in politics. Allen, who launched Playbook in 2007, is leaving Politico in the wake of a shakeup that saw the departure of much of Politico's foundational leaders, including co-founder and chief executive Jim VandeHei, chief operating officer Kim Kingsley and chief revenue officer Roy Schwartz. Allen plans to join that group in a new and so far unannounced media business that will launch later this year. Full disclosure: This reporter worked for Politico from 2011 to September 2015.